Despite a request to be furnished with information pertaining to the murder charge he is facing, murder suspect Sipho Shongwe says he was not informed of the alleged mutual legal assistance request to South Africa by the Crown. “The state has despite request of the information in terms of Section 89 of the Criminal Procedure and Evidence Act (CPE), not disclosed to me any information whatsoever, it appears to me there is no evidence against me and the murder case is still under investigations,” he submitted. This is contained in Shongwe’s replying affidavit filed before Principal Judge Qinsile Mabuza in his application to force the crown to furnish him with a list of witnesses and evidence against him in his murder case. Shongwe stands accused of the murder of businessman and soccer administrator Victor Gamedze who was gunned down on January 14, 2018 at the Ezulwini Galp filling Station. According to papers filed by his lawyer Sipho Mnisi, Shongwe argues that the state is not acting bona fide as it is on record that he instructed Senior Counsel (Advocate) from South Africa that it is necessary that he be furnished with the list of witnesses and the summary evidence in order for him to fully brief Counsel before invoking Section 88 of the Act or any other section. He alleged that the Act does not prohibit the supply of the requested information prior to committal by the High Court arguing that he has been advised that the point of law raised by the Crown is an issue of law which will be dealt with in argument. He submitted that he has a right to a speedy and fair hearing which includes the right to adequate preparation for trial arguing that the Crown does not state when the alleged investigation will be concluded. “I may find myself spending years in prison without trial in violation of my right to liberty and to be presumed innocent until proven guilty,” he submitted. He stated in his papers that legal submissions will be advanced by counsel at the hearing of the matter adding that the present application has been brought as a result of the respondent’s (Crown) failure to furnish him with the list of witnesses and their depositions in terms of Section 89 of the Act. 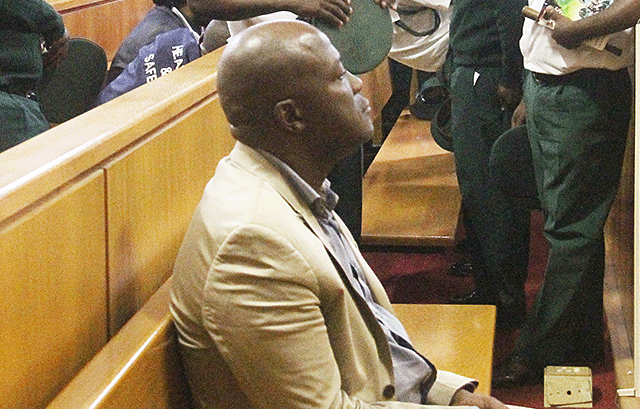 Since his arrest, Shongwe had filed at least three applications at the high Court with the initial one being the bail application which has been frozen as the Crown is appealing against Judge Sipho Nkosi’s ruling, that it failed to prove that Shongwe fraudulently escaped from Barberton prison. The appeal at the Supreme Court has not commenced as Judge Nkosi has not furnished the crown with reasons for his judgment. The second application filed by Shongwe was before Judge Mzwandile Fakudze and the current one is now before Principal Judge Qinsile Mabuza and has been postponed to a later date.